Coffee Tea Books and Me: Some of My Favorite Summertime DVDs! Some of My Favorite Summertime DVDs! I was going to assemble this post soon. However, I'm going to be very busy over the weekend and unable to write blog posts. What better time to leave this with you now! I'll be back live and in person (so to speak) sometime next week. I admit that Summer is when I tend to watch more DVDs than usual. The heat and humidity can do me in quickly. Air conditioning is my friend and I stay indoors a lot. While these are favorite movies all year round, they just remind me of Summer for some reason. I also do my own "Christmas in July" week later in the month, closer to my birthday. By that time I'm really tired of humidity. I'll share more about it in a week or two. These are in order of when I thought of them, not necessarily by favorites. I guess you could say all of them are a favorite from time to time. You may be familiar with the Love Finds You books. They are written by various authors and some are great and others... not so much. These first two movies were originally on the UP Channel and we enjoyed them so much, my husband asked for them as Christmas gifts! Both are very family friendly. Love Finds You in Sugarcreek is about a professional baseball player who is traveling with his young son to escape the paparazzi. 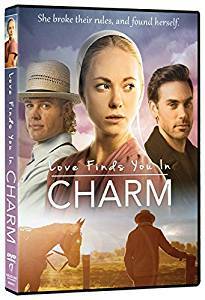 He ends up staying with the most adorable Amish sisters whose niece (a police officer) has doubts about this man with apparently no past. Yes, they end up falling for each other but the story is very enjoyable and while not a comedy, it is at times quite amusing. 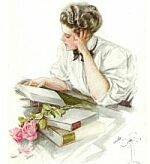 Love Finds You in Charm is about a young Amish woman who loves Jane Austin books. She is having second thoughts about joining the church and often dreams of what life would be like as an English woman. When she travels to Charm, Ohio to help her widowed cousin, she gets a chance to live that dream one evening. 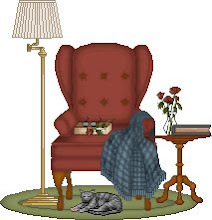 It is a good story about how what we often want most is right at home. The Autumn beauty of this part of Ohio will cool you off. 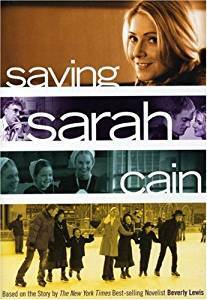 Saving Sarah Cain is based on the book by Beverly Lewis. I saw it on... of all places... Lifetime Movie channel. Sarah Cain is a successful professional woman who finds that her sister, who became Amish when she married, has left her children for her to raise when she passed away. This story line is much more complex than the first two movies but there is a reason it is a favorite among many of Lewis's fans. 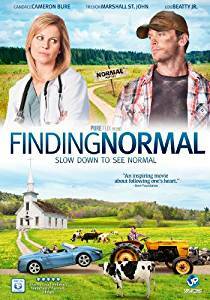 Finding Normal stars Candace Cameron Bure and it was also a TV movie but I can't recall what channel. It does play now on UP TV once in awhile. Bure plays an LA doctor driving to Long Island to join her boyfriend, who is also a doctor to wealthy people. She gets pulled over for speeding in Normal, North Carolina and has to perform community service as a general practitioner for a few days. 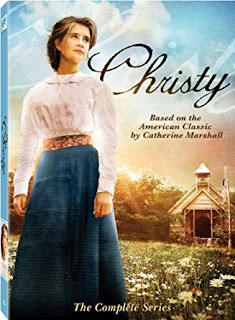 This is a movie about gaining faith in God and learning that the simple things of life are better than riches. Yes, it is cheesy but very, very enjoyable and family friendly. Perhaps my husband's favorite TV movie. The next two DVDs are from the 1960s, one was a favorite of mine and the other a favorite of my husband. Although we like both of them. There are some movies I say could never be made again in the same way for society has changed so much. These are two of them. Man's Favorite Sport? with Rock Hudson and Paula Prentiss. 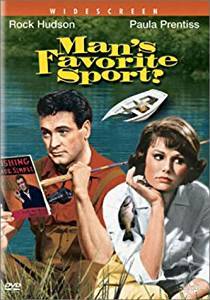 Hudson plays a fishing expert who has actually never fished. Everything he knows is from books. Prentiss is the woman who pushes his boss to sign him up for a fishing contest, not knowing that he does not actually fish. The chemistry between these two makes for a very funny story. The fact it was made in a more innocent time is why I say it could not be made today. In one scene, she has fallen asleep in his cabin after taking a sleeping pill and people are shocked when they find her there the next morning, even when he explains what happened. Not in today's society. Nothing terrible in it but probably not a family movie. 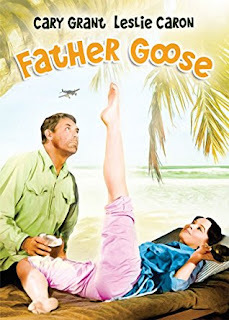 Father Goose starring Cary Grand and Leslie Caron is another comedy from the 60s, one of my husband's favorites. It is family friendly even though a romance evolves, the worst scenes is when he was umm... inebriated in the beginning. Grant's character is assigned (unwillingly) to an island during WWII to watch for enemy planes flying over. Caron's character is a school teacher who ends up on the island with a group of her schoolgirls after a shipwreck. The results are great fun. 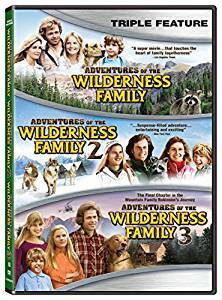 I've mentioned the Wilderness Family trilogy before but it is 1970s movie fun. 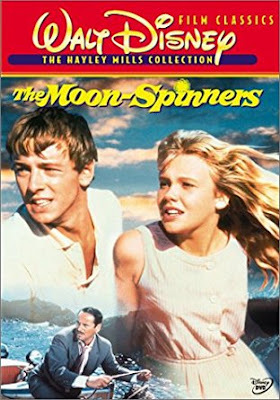 My family loved these movies and enjoyed the escapism as well as making fun of the writing once in awhile. 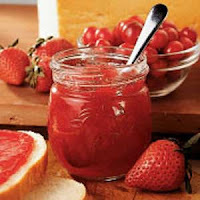 I knew a woman when I lived in Michigan who saw this as a teenager and it always made her want to be a homesteader. Kind of cheesy but in a good way, it is also about a family who cares about each other and the scenery is a star of all three shows. 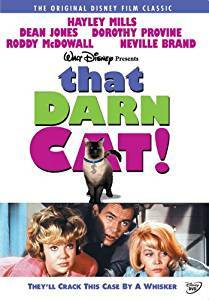 I have come to realize it is good to have our kids watch some of these older movies because they were so much more innocent than what is produced today. I find some young people so jaded that they can't enjoy the older movies. Sad. 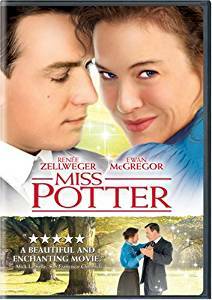 Miss Potter... what can I say. It is lovely. Just lovely. I thought it amusing when my daughter told me the first time she saw the movie, she thought immediately of me. I do have a habit of naming and talking to inanimate objects. Maybe I shouldn't admit that outside of the family? 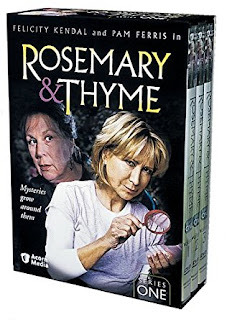 Rosemary & Thyme is a mystery series from Great Britain that revolves around gardens. Who wouldn't love to watch that in Summer, especially those of us who love mysteries. It stars two of my favorite British actresses, Felicity Kendall (Good Neighbors) and Pam Ferris (Call the Midwife). That's probably more than enough ideas for now! See you next week. Disclaimer: Most links to Amazon.com are Associate links. Some of these movies may be available at your library. Both Christy and Rosemary and Thyme have gone way up in price while many others have gone down in price. "...nail-biting battle with a windmill"
There are a few Haley Mills films on your list that I've not seen! We'll have to check them out! Have a wonderful weekend...I know that you are busy getting ready...so exciting! Yes!!! Your last several movies are definitely in my list, as well! 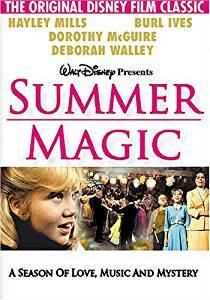 We just watched Summer Magic and The Parent Trap is one of my all time favorite movies. Also, The Swiss Family Robinson and The Wilderness Family are great! What a fun blog post... Now I want some popcorn and a good ole fashioned movie night. I have all those Hayley Mills movies! 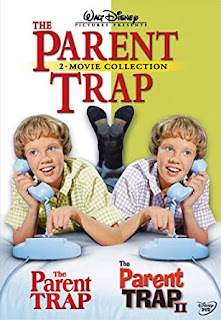 The Parent Trap is one of my top 2 favorite movies of all time! 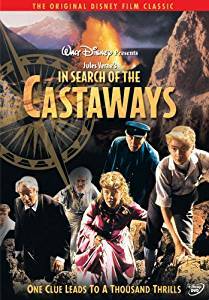 The Swiss Family Robinson is also a favorite (starting Hayley's father as the dad). I found Rosemary and Thyme on Acorn TV a year or so ago and loved it! I ordered Rosemary and Thyme through interlibrary loan and watched all the seasons. It is cozy and funny and decent mysteries. Could recommend watching Midsomer Murders also. British mysteries that revolve around the Midsomer villages with lots of nice scenery! Those are some of my favorite summer movies. Mostly because I have fond memories of seeing them when I was young. Rio Bravo doesn't seem to fit with the others, but I associate it with summer because it was the first time I was aware of air conditioning (we didn't have it at home and it was hot!) and the first time I remember going to a movie theater. Also, it's my favorite western.